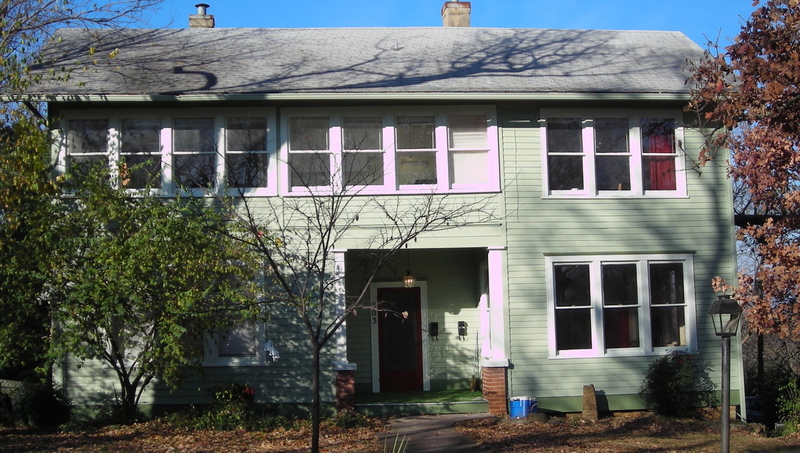 As I wrote before Christmas, we want to convert the left two-thirds of the house to porch, in part because it used to be porch. (Also, we love being outside without mosquitoes, and we hope to be able to use the space often. Heck, it got up into the 60s over the weekend here. )Â The flooring from the original upstairs porch is still visible from the outside. 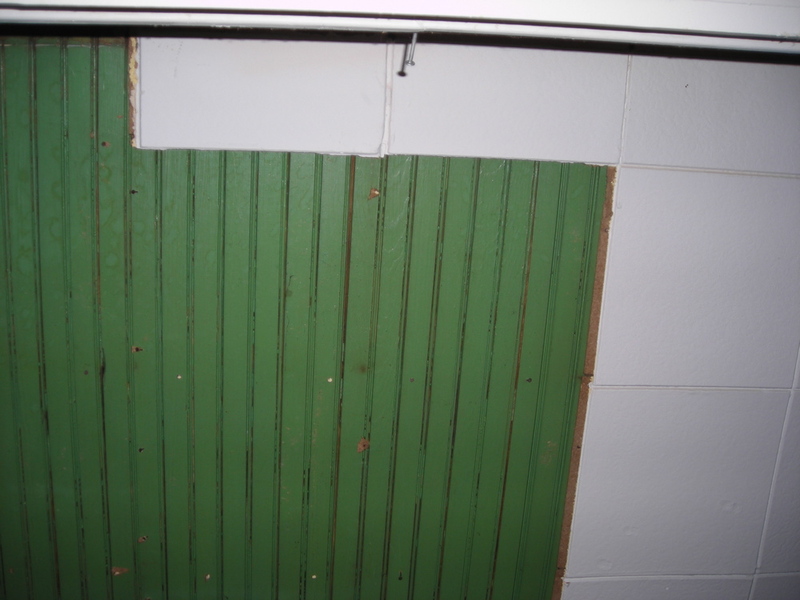 GreenÂ beadboard. So there is a little original fabric to the house that I think we’ll keep. We had another gas meter replaced today.Â For those of you counting, we have had three of our eleven meters replaced so far, all at the utility’s expense. *The “wet” bedroom is so-named because, after the pipes froze New Year’s Day/night, we found a new drip in that bedroom.Â It looks like the drip may not be coming from the pipes inside that bedroom’s ceiling, but from a leak in the bathroom above.Â There has been standing water on that floor, and I am not quite sure where it came from.Â I guess we’ll figure it out soon enough. This entry was posted on Tuesday, January 8th, 2008 at 2:03 pm	and is filed under Apartment 1, Demolition, Exterior. You can follow any responses to this entry through the RSS 2.0 feed. You can leave a response, or trackback from your own site.